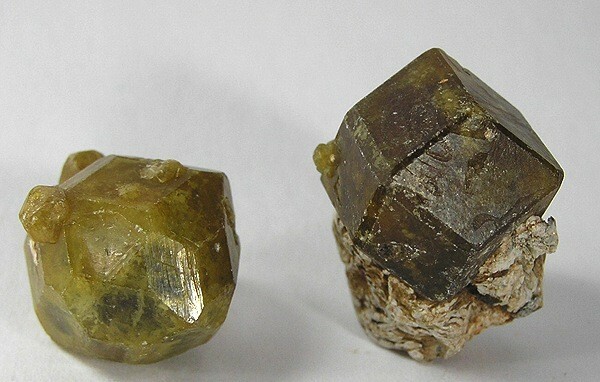 “Andradite-Grossular Series” (Mali Garnet), Nioro du Sahel Circle, Kayes Region, Mali. © Rob Lavinsky, www.iRocks.com. Used with permission. One of the rarer varieties in the garnet group, Mali garnet is a blend of grossular and andradite. Discovered in 1994 in Mali (still its only known source), this gemstone has great brilliance and a high dispersion. Its colors range from almost tsavorite green to yellow-green, yellow, gold, and brown. Without question, the high-value range for Mali garnets is reserved for the extremely rare chrome-green color. 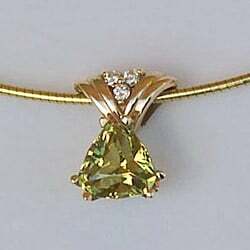 In general, yellow, green, and green-yellow stones command higher prices than brownish stones. As with any gem, carat (size), clarity, and cut affect the value dramatically, with dispersion being a special value factor for Mali garnets. A great deal of material was produced in the year following its discovery. The popularity of this pretty stone soared, and prices were initially very high. However, prices soon dropped. In recent years, far smaller amounts have been produced, which has resulted in an increase in price. Since large-size rough is rare in this variety, price per carat increases dramatically with size. The International Gem Society (IGS) has a list of businesses offering gemstone appraisal services. See the entire Gem Price Guide. Start an IGS Membership today for full access to our price guide (updated monthly). Colors Green, yellow-green, yellow, gold, and brown. Isotropic. May show anomalous birefringence. After the African nation of Mali, the only known source of this gemstone. “1.41-ct Yellow Garnet,” Mali. © All That Glitters. Used with permission. The Mali garnet has an exceptional family tree. Gemological study has proven that this gem’s composition is intermediate between grossular (calcium aluminum silicate) and andradite (calcium iron silicate). This blend is sometimes called “grandite.” Mali garnets are predominantly grossular, but the variable admixture of andradite changes its characteristics in at least one important way. This hybrid seems to favor its grossular parent in terms of refractive index (1.77 in most specimens) and hardness. However, its superb dispersion comes from its andradite heritage. Some rare Mali garnets may show a color change from grayish green in fluorescent light to brown in incandescent light. Most color change garnets are a pyrope-spessartite blend. Most Mali garnet rough is mined from alluvial deposits and shows the rounded, water-worn shape typical of that source. Faceted stones with a light body color will show off their brilliance spectacularly. No special precautions are necessary when setting or wearing these gems. They are suitable for all jewelry uses. 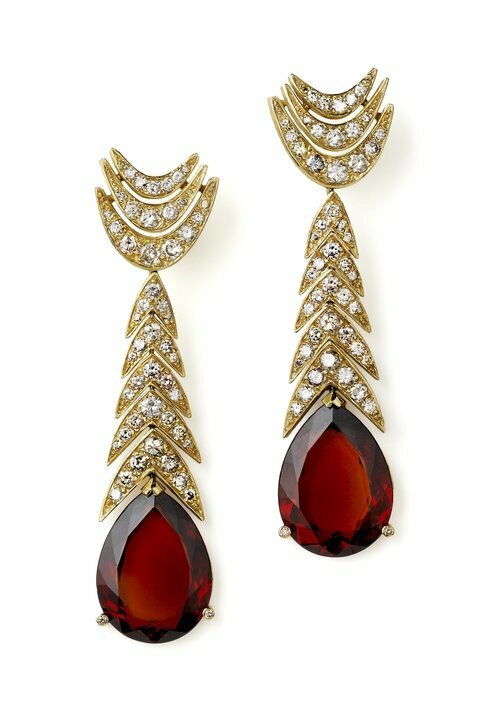 Note: Mali garnets and Malaia or Malaya garnets are distinct varieties of garnet. No enhancements or synthetics for this gemstone are known on the market. Mali Garnet Varieties. Photo courtesy of Barbara Smigel, Artistic Colored Stones. The Kayes region of Mali is the only known source of this gemstone. In general, garnets are best cleaned with warm water, detergent, and a soft brush. However, unlike some of their brethren, Mali garnet is not heat sensitive. Consult our Gemstone Care Guide and Gemstone Jewelry Cleaning Guide for more information. “Mali Garnet Pendant.” © Dan Stair Custom Gemstones. Used with permission.